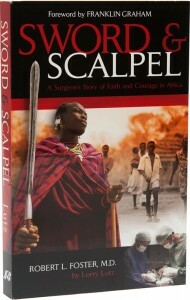 Sword and Scalpel Sword & Scalpel is the exciting story of how God has used Dr. Robert L. Foster to spread the Gospel and bring healing across southern Africa. Through the dangers of civil war and the difficulties of missionary life, he served four decades as a surgeon in Zambia and Angola, founding three mission hospitals. Limit one per household, while supplies last.